Have you been following the journey of one of our casks across America and home to our Distillery? We hope so, because today we’re going to reveal why we commissioned whisky writer Joel Harrison to write this captivating story. We'd like to introduce you to the newest addition to our collection, Glenfiddich Excellence 26 Year Old, a single malt of distinction that has matured for 26 years in the finest American Oak casks. Joel has captured the journey of an American Oak cask and allowed you to follow the wood in our casks 'from branch to barrel' as they make the long journey home to Glenfiddich. 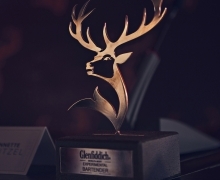 Glenfiddich Excellence 26 Year Old is a truly incredible single malt, vibrant yet soft, rich yet delicate. Being family run allows us to dedicate unrivalled care and attention to the entire process, meaning this expression truly lives up to its name. With a deep and complex balance of sweetness and dry oak tannin to intrigue and delight, it doesn't disappoint. Learn more about this fantastic single malt or discover the care and attention that goes into bringing our American Oak casks home. Start your journey with Joel and see how American Oak casks are constructed at the family owned Kelvin Cooperage before arriving at our distillery, where our team of coopers work hard to make sure each and every one is fit for purpose and ready to be stored away inside our warehouses. 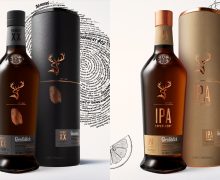 To celebrate the launch of Glenfiddich Excellence 26 Year Old, we're giving away 26 exclusive prints signed by award-winning photographer Simon Butterworth. During the journey, Simon captured every moment in the life of a cask, from the forests of Louisiana to the quiet corners of our Distillery where our spirit rests. You can watch the stages of this epic journey here. To win one of Simon's prints, we asked you to tag a picture of a dram in your hometown using #HomeToGlenfiddich. 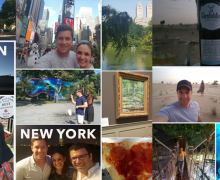 We've had some fantastic entries on Facebook, Twitter and Instagram and we've loved seeing your hometowns. We hope you'll visit our distillery and share a dram with us here soon. It was hard to pick the winners, but here are some of our favourites over on our Facebook page.